Helllo Out There! 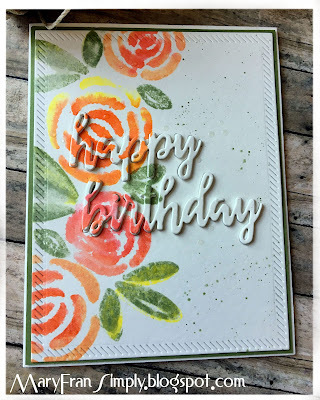 Sharing a birthday card today for the Monday Simon Says Stamp Weekly Challenge. 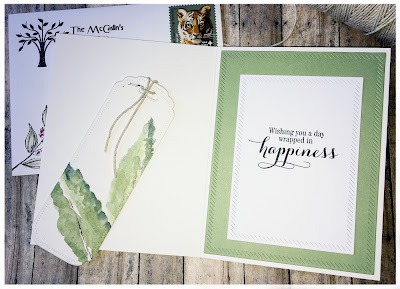 This turned out to be a wonderful card for me...I usually have a few attempts first, but this is really an easy stamp set. I love it! 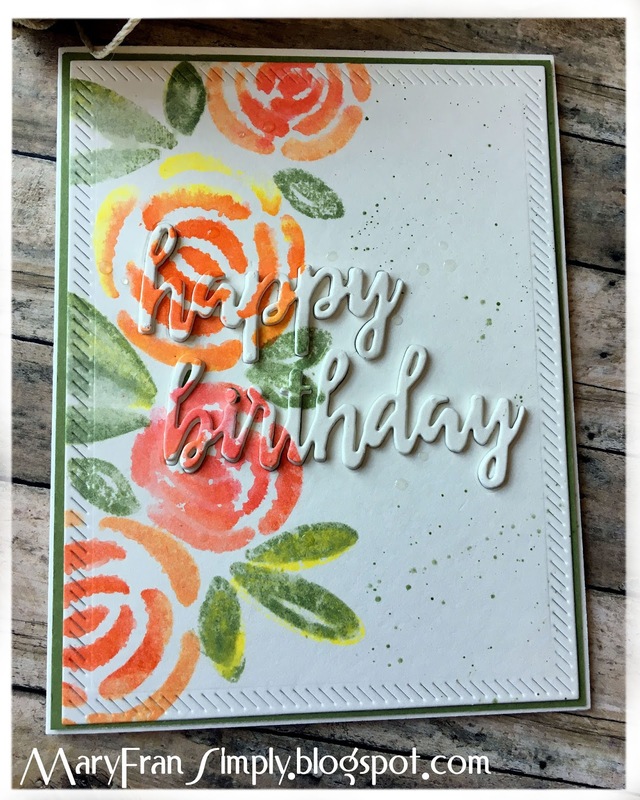 I created this A2 sized card by taking a watercolor panel and using some distress inks that would blend from yellow to orange and orange to coral. I inked that stamps and then misted them with water. I started with the lighter color and using the Misty, I followed this process for the four flowers. I used the yellow going to green for the leaves. I know they say to use odd number of elements only, but this looked very nice to me so I didn't push it. Next I die cut the happy birthday words on the panel and also 3 more times in white cardstock and glued them together to create the dimensional look for them. I splattered some of the green ink on the panel and also used some crystal Nuvo drops. Lastly, I die cut the panel and cut a matching green panel to layer it and adhered the whole thing to a card base. Thank you very much for reading, and the materials used are listed below. Mary, love your card! So fresh looking, love the colors!